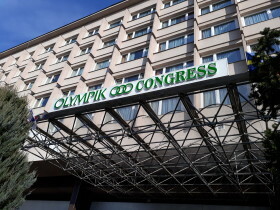 You can find accommodation directly in the Olympik Hotel, where the fair takes place. The Olympik Hotel consists of two buildings located next to each other, but each with its own name – Hotel ARTEMIS**** and Hotel CONGRESS****. The Geosvět fair will be held in the CONGRESS building.